Every player is guilty of losing their golf swing plane at one time or another, no matter whether they’re first timers or ten-time tour champions. If you find that you can’t seem to hit the ball straight, more often than not it’s because you’re swinging over the top. 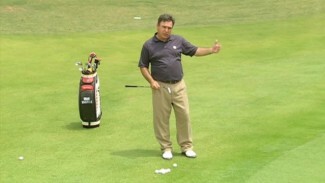 By making a slight adjustment in your technique to get your golf swing plane back on line, you’ll become more consistent and notice a big difference in the outcome of each stroke. 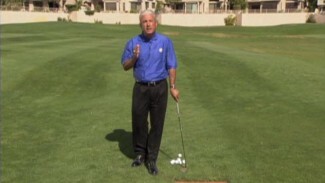 In this lesson, we teach you a simple tool you can utilize during your practice routine to ensure you’re moving the club along the proper golf swing plane and attacking the ball from the right angle. Forgetting for now the complex coordination required to create a powerful and accurate golf swing, there’s really only one aspect of the stroke that dictates if the ball goes straight: the golf swing plane. 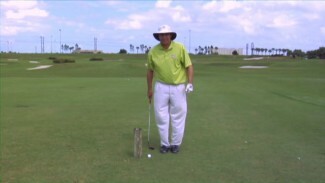 If you make square contact with the ball at impact, your ball will, without a doubt, fly straight. In order to hit the ball squarely, you have to put the clubface on the proper line to the ball, and that proper line is what we refer to as the golf swing plane. To help you get your clubface where it needs to be in your downswing, PGA Professional Charles Sorrell teaches you how to use a door (or any slanted piece of wood) to train proper golf swing plane. 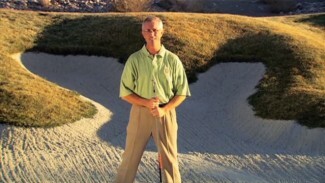 He demonstrates expert golf swing tips for a better angle of attack, and explains why it doesn’t matter what you do in your backswing, as long as you get your clubface on plane in your downswing. With guidance from the door, you’ll learn to feel where your club needs to be in order to follow the right golf swing plane. 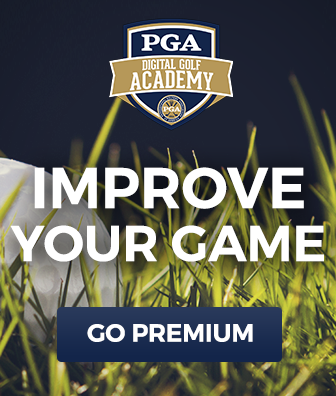 If you typically find yourself swinging over the top and pulling the ball, you can use these free golf tips to fix your golf swing plane and develop a straighter and more consistent stroke! How do you determine the plane angles??? I assume the angle of the door is critical and different for different heights/builds of the players? How do you know what is right? Nice job, Charlie! Every teaching pro should have a physical plane of some type for demonstration and study.